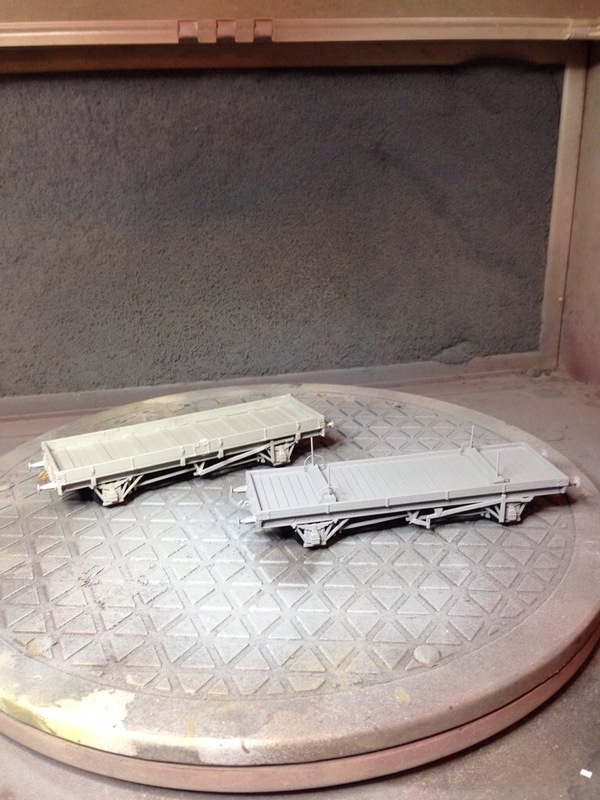 These are the first of some new wagons I’m building with a new project in mind. I’m just waiting for a couple of photographic permissions before I do a dedicated post. Suffice to say that it’s a subject I’ve always had a notion for and there was a good chance that I was going to tackle the theme one day. 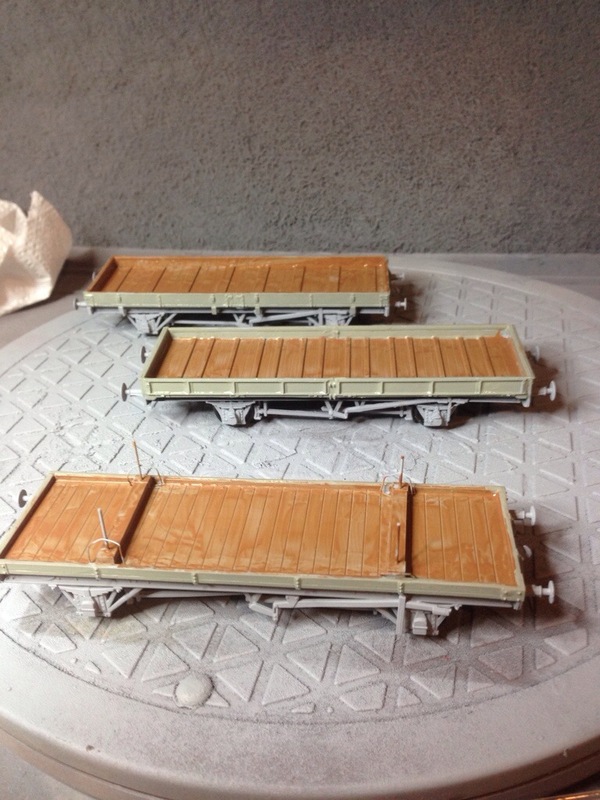 Back to the wagons; we have a Parkside LNER plate wagon and two Chivers Kits; an LMS Long Low and a bolster wagon of similar origin. The latter are a very easy build, even accommodating the slight adjustment in positioning the brakes for EM.